In 2006, I started selling used books on Amazon to curb my online poker addiction. From 2003-2005, I pretty much just played poker. The idea of making money online fascinated me. However, poker was starting to get addictive. Plus, I wasn’t making any money. I was just another wannabe watching the World Poker Tour on TV. Luckily, I discovered how to sell books on Amazon, and it motivated me to quit playing poker for good. Selling books was so much better than poker. In poker, it is a zero-sum game. There is one winner and one loser. However, with books, I was providing value. Someone across the county was getting a used book that they needed, and in return I got paid. It was a win-win. In 2007, I switched to FBA (Fulfillment by Amazon) and it was a game changer. I was making so much more money with FBA. Plus, it freed up my time. I no longer had to store, pick, and pack my books. Amazon did that for me. It was almost too good to be true. Between 2007 and 2010, sales were starting to roll in from selling books on FBA. However, in 2011, I started to lose direction. I was so use to the money rolling in from Amazon, that I had stopped doing what made me successful in the first place. I stopped going to book sales and thrift stores. I somehow magically assumed that the money would come no matter what I was doing. I was wrong. In 2012, I was broke and depressed. I had to resort to asking family members for money. Due to my financial situation, I had no choice but to get a JOB. While it was a challenging and rewarding position, it was not for me. However, it did motivate me to re-invent myself. After one year, I quit. I decided that I was going to make it as an entrepreneur and never look back. In late 2013, I decided to go to thrift store and book sales and document the financial results on a blog. I also, started listening to business podcasts like Smart Passive Income and Entrepreneur on Fire while driving to the book sales and thrift stores. These podcasts gave me some amazingly creative ideas on how to create content and monetize it. In 2014, I followed through on an idea that I had for nearly two years. 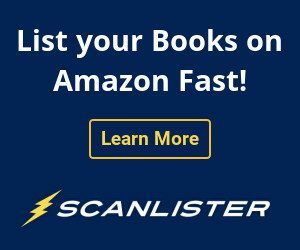 I wanted to create a bulk listing software program for books. All the FBA listing programs (at the time) were too slow for books, in my opinion. I knew there had to be a better way. The only problem was that I didn't know how to write a word of code! So, I went on Upwork.com (an outsourcing site) and explained my idea on a job post. The first two times were a failure. None of the candidates were qualified nor understood my idea. After almost giving up, I tried one more time and Bingo! I found a programmer who understood my vision. As a result, ScanLister was born in June of 2014. My dream of becoming an entrepreneur with multiple streams of income was becoming a reality. 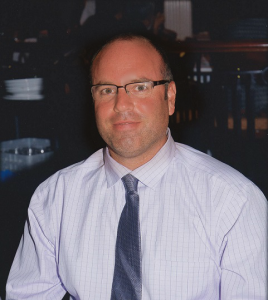 I was able to promote ScanLister to my audience that I had created from my blog. And sales were rolling in. I'm currently still selling books on Amazon FBA. Although, now have a book-scouter and a book-lister that does most of the work. I spend much of my time creating content on the blog and maintaining ScanLister. I’m a retired teacher. I thought that I would have a comfortable life with an adequate income from my retirement check. I didn’t anticipate my health insurance rate to increase to a $1000 per month! I’ve started picking but I just can’t afford a course at this time. When I’m able, I’ll take your course. If it is as good as I think it will be, I’ll provide you with a testimonial . I’m good at articulating my thoughts. I currently don’t have any courses out except for my eBook located on the right of the blog. There are plenty of good Amazon courses out there like the Proven Amazon Course by Jim Cockrum and Amazon Boot Camp by Jessica Larrew. Maybe you can price those items at $15 or $20? The great thing about FBA is that customers will pay much more for an FBA item. Nathan, thanks for all your excellent content. It has really helped as my wife and I start off with selling via FBA. One question we had is how do you determine your premium over what the Merchant Fulfilled Sellers base prices are and do you do this for all your books? Also when would you reprice? Lastly, do you have a tutorial on analyzing the data from Aseller and how you use it to look for the best potential sellers? Is Amazon’s Sellers App Data good enough or does it lack pertinent info? Thanks again. Basically, I add the $3.99 shipping costs at a minimum. So if the book is selling for an MF price of 10 + $3.99 shipping, I would price at $13.99. The rest depends on the other FBA sellers and how long you are willing to wait for the sale. I reprice once a day with Repriceit.com. 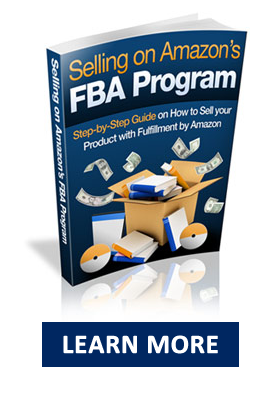 Great information on Amazon FBA. 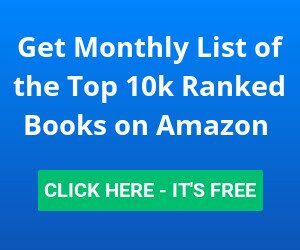 I’m new to selling books on Amazon FBA. I have neatopricer on my Dell AXIM PDA. In your past and recent findings, do you think I should set my neatopricer to a minimum price of $4.00? Excluding the $3.99 with Amazon shipping. (So a total: $7.99.) Hope to hear from you soon! Thanks again. Yes, $4 is a good minimum to start. As you get more experience, you could probably set the minimum for a merchant fulfilled price to $2 or so. What repricing software do you use? I have called a few companies and they say they don’t usually deal with used items or books. Some of their fees are really expensive except for RepriceIt, but I have heard bad things about them. Sorry for the delayed response. I use Repriceit.com. It does most of the repricing strategies that I want, and it’s affordable starting at $10 a month. I am just starting in the Amazon world even though I have been in retail for over 35 years. I have a quick question. I have a Thrift store in my area that has their hard cover books priced at .50 every day. The last day of each month everything in the store is ½ price. There is a large crowd every month for the sale. I thought about getting there when they open and tell the manager I will purchase all the hard cover books for the .25 price and see how that turns out. What are your thoughts on that approach? I wouldn’t buy any books without scanning them first. Most books have no value on Amazon. Hi Nathan, Just came across your website and I am hooked! What a wealth of information. I’ve just started selling on Amazon FBA and in the last couple of weeks I have sent in a few different shipments of books with great rankings that are competitively priced. But I’m not seeing the sales yet. Do used books get the buy box on FBA? Have you got any tips on increasing my FBA sales? Thank you! Yes, used books get the buybox. New books do not. 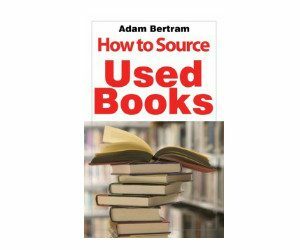 Can you send me some examples of books that are not selling? Send them to booktothefuture@gmail.com. If you’re just starting out, I would recommend that your books are priced so they show up within the top 3 listings of the page. What is the scanner that you use and where can I purchase it? This is the scanner set-up that I use. I am looking at two socket Scanners and wonder which one you would suggest both used. Both Used and near the same price. Amazon has a free app called the Amazon seller app as well. Hello there, I’m glad you like the blog:) It’s actually Melbourne Beach in Florida. I was visiting relatives there. Hi Nathan, I just read your ebook and I am trying to get started in the business. Do you ever price your books above other current FBA seller’s prices? If so, when and why? If not, why not? Also, I have the free Amazon app. 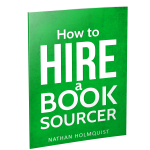 Do you think that is good and fast enough for the book business? Several months ago I join FBA and sent a product made in China to Amazon. The product is selling verrrrrry slow. Though about getting into the book and media business. But want to know more about how to do it. Do you think the book and media business is better than china made products? Hey Nathan I read an interview you did at some point about how you choose your books based on the lowest merchant fulfilled price. Did you every write an article about this? I can’t find it. I have about 168 books in my FBA Account and I simply wish to get out completely. Make me an offer for my books. Look forward to hearing from you. I have been selling books on amazon for about 11 years. I really haven’t put up that many for about 7 years. My sales have almost gone to nothing. I have about 6000 books listed still. Would it be worth it to try and FBA them? Nathan, I could use a little help. I’m still struggling in certain areas-namely getting the books INTO amazon!! I’m using scanlister (for a Mac) I scanned in a batch, clicked List On Amazon, and it actually happened!! (small victory) but when I went to use Amazons Match Low Price feature-following your video tutorial (as much as I could) That part didn’t work, AND, more importantly when I tried to print the labels (again watching your video tutorial with a Demo label printer) I couldn’t because I didn’t have a ‘Shipment ID’ and I CANNOT figure out how to create one!! Do I need to do that BEFORE I start the whole scanning them in process?? The place for me to input it NEVER even popped up on my screen. What step am I missing NOW???? The Match Low price feature on my video is out of date because Amazon changed things. On your seller central account go to Pricing — Manage Pricing. Then you can use Match Low Price. You can only get a shipment ID after you have scanned items into ScanLister, converted them to FBA, and create a shipment. Please watch the 2nd video on this page. The title is called How to List and Label. If you don’t want to use the Dymo, you can print labels directly on seller central using the 30-up labels on your laser printer. If you have anymore questions, you can email me at info@scanlister.com. I can also connect to your computer remotely if you need more assistance. About how many books do you keep in FBA inventory at any one time? Now that the LTSF has changed, do you recommend selling anything FBM? I started FBM, then went all FBA, but have made a lot of withdrawals last year after fee changes. My specialty was long tail books, and 11 months is usually not enough time to sell most of them. Thanks for the nice blog and all your tips!